Welcome to Docebo! 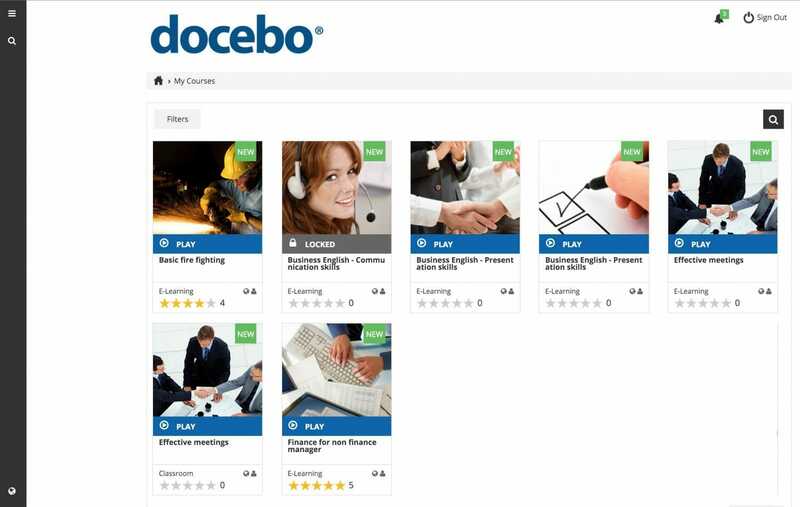 This manual is an end user guide, explaining how you as a user can navigate the features and functions of your Docebo platform. We’ll take a step-by-step look at your LMS to make sure you are comfortable. Let’s get started! If you have already received your login credentials via email, you can start using the E-Learning platform. 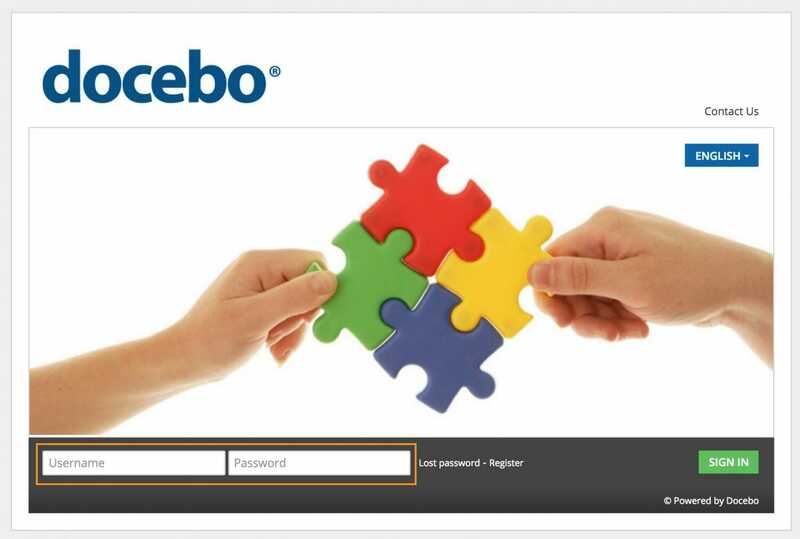 To gain access, insert your username and password in the login page. Your login page may look slightly different from the image above, but it will always have the login forms. Some platforms allow you to login using your credentials from another website, such as Gmail, Facebook, LinkedIn, etc. In some cases, the system may ask you to change the password upon first login. This allows you to customize your own password, which will only be known by you. 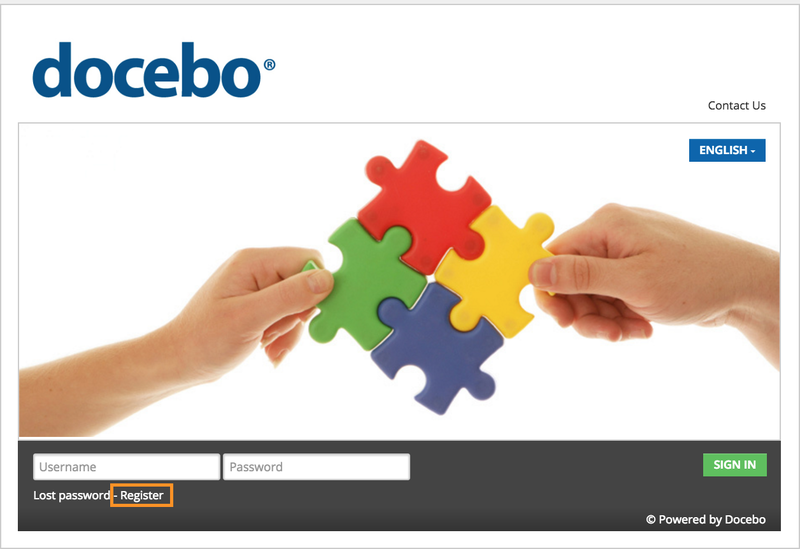 If you’ve forgotten your password, you can recover it by pressing Lost Password on the login page. A pop-up window will open, and you’ll need to insert either your e-mail address or your username. The system will then send you an e-mail with instructions on how to create a new password. Click SEND to confirm the operation. Sometimes, you aren’t given a username and password by someone, but rather you need to register yourself into the system. In this case, once on the login page, press Register. A pop-up login form will open. 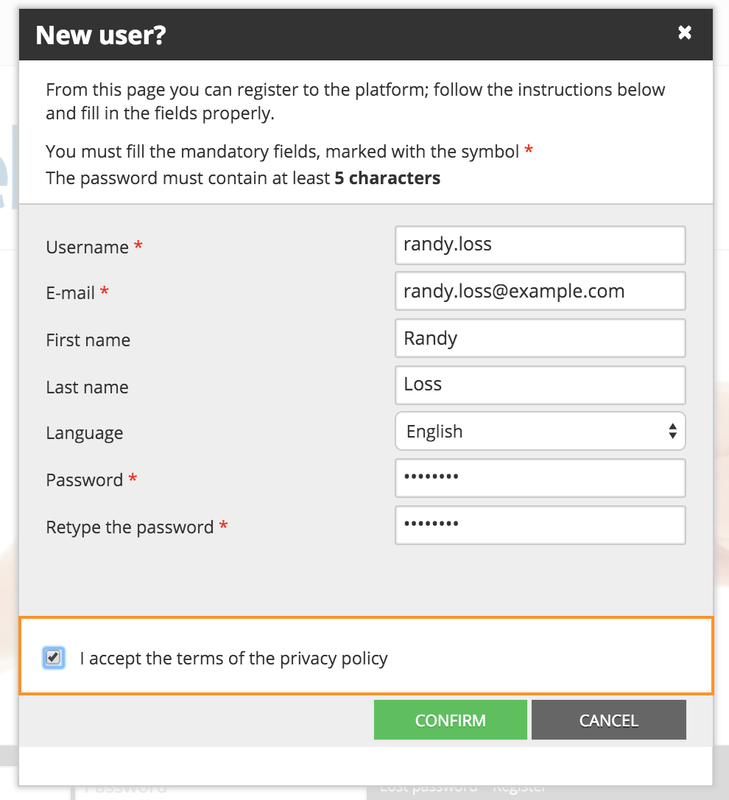 Fill in all of the required details, and we recommend that you fill in the optional details as well. Once you have clicked Register, you will receive an additional confirmation message on the screen. We’ll send you an email, and you’ll need to click on the link in said email to confirm your identity. Sometimes, self-registration is moderated. This means you will have to wait for an approval from an Admin before gaining access to the platform. Once logged into the platform, you’ll see the main page. 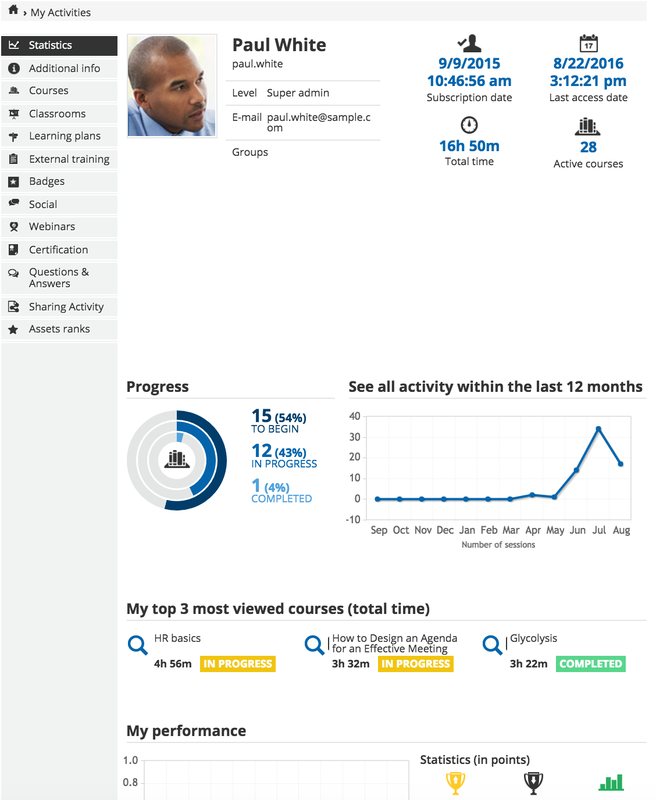 Here, you can see the Courses in the center of the page and the main sidebar on the left side of the page. There are three buttons in the sidebar: the first one is the menu, in which you can find all of the available tools and areas of the platform. The second one is the Global search tool, and the last button is the change language button, where you can change the language of the platform as desired. The menu area includes all of the available tools and accessible areas on the platform. The tools can vary based on the settings of the platform as configured by your administrator. We’ll walk through the entire range: My Dashboard, My Courses, My Activities, Learning Plan (if active), My Calendar, My Blog (if active), Courses Catalog (if active). Some users will also see a section in their menus dedicated to Coach & Share, if it’s activated on their platforms. Please refer to the linked manual in this paragraph to learn how to navigate Coach & Share. The two buttons near the top of the menu, Contribute and Share, will also appear if Coach & Share is activated. 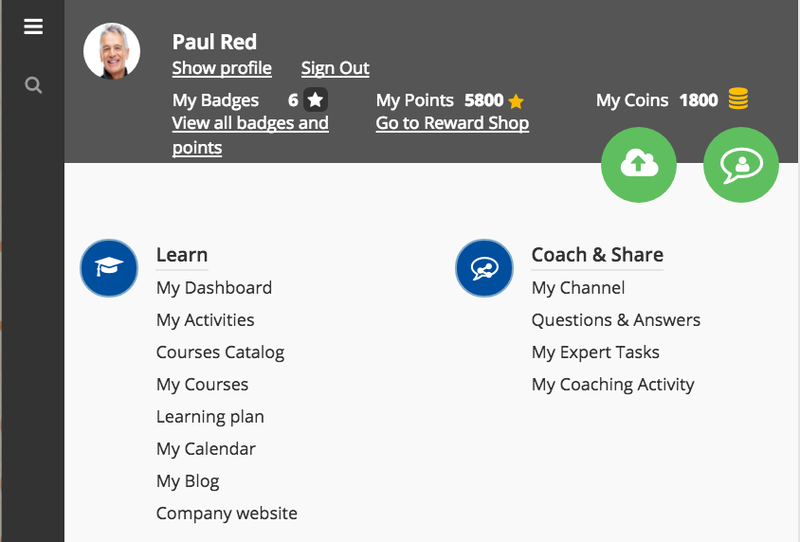 If the Gamification App and Rewards Marketplace are activated by the LMS Admin in your platform, you will also see your badges, points, and coins underneath your user credentials, as well as corresponding links to discover more. ● Active Courses. All the courses you are currently attending or have yet to attend. ● Completed Courses. Once completed, a course will be moved into this area, so you will not see it in the active courses anymore. You’ve completed all of the training material in this course. ● All Courses. All of the courses in which you are currently enrolled. You also have a search bar if you’re wanting to find specific courses. Simply type in the title and search. If the Labels app is active in your platform, you can also select a label from the dropdown menu to filter the courses that will appear. 1. E-Learning: The system will alert you on all of the E-Learning courses that will expire in the selected period (week or month). 2. Classroom Course: The system will display all of the classroom courses in which you are enrolled. 3. Web Conferencing: The system puts together all of the web conferences planned in the courses in which you are enrolled. 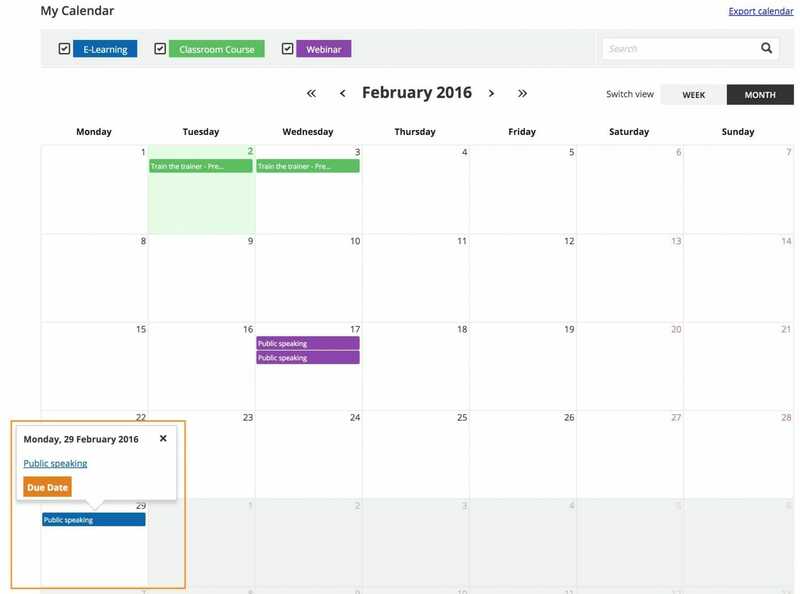 These three types of events are color-coded on your calendar for differentiation. You can select all three types of events to display, or just the ones in which you are interested. Furthermore, you can also search for an activity using the search bar. If you select a single day, you’ll see the information regarding the activities schedules for that specific date (including the activity name and type). In the image below, you can see that you would need to complete the Public Speaking course by the assigned deadline, Feb. 29. When you click on the course title for events displayed in the calendar, you’ll then be redirected to that course’s specific page. If the activity planned is a video conference, you will also see the start time. Select Menu from the left sidebar, then select My Activities to access the area hosting all of the information and statistics regarding your training activities. Here, you’ll find a menu of tabs that will take you through different information and associations for your profile on your platform. 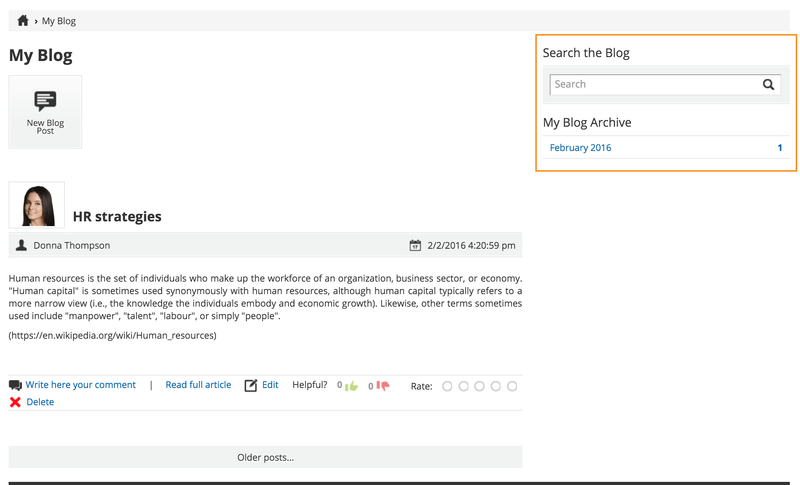 Click on the Menu icon, then select My Blog to access the area in which you can post your thoughts and ideas. To start posting, click the New Blog Post button at the top of the page. 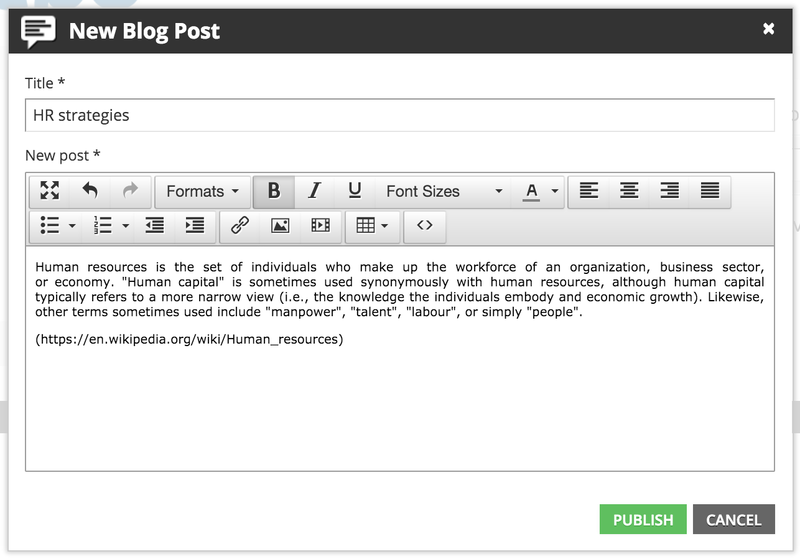 Begin by adding a title, then write your blog’s content inside the ‘New Post’ box. You can change the size and color of the text as well as add links, images, videos, and tables. When you’re finished, click Publish. When you’ve published your blog post, you’ll see it in your blog area in the My Blog page. Blog posts are organized by month. You can find them on the right side of the page in the My Blog Archive section. If you need to find a specific blog post, you can use the Search bar to search for the title. If you’re wanting to share a post about a specific course with other users, you need to write your blog post within the specific course in which you are enrolled. 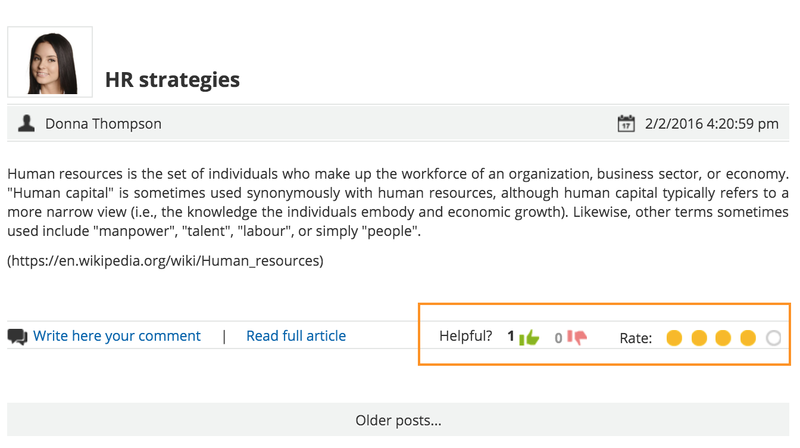 Doing so allows other users to read, comment, and evaluate your post within the context of the course. To do this, access the course in which you would like to post a new blog by clicking on the Menu icon on the left sidebar, then selecting My Courses. On the course page, find the Blog widget and click the NEW BLOG POST button. Then, repeat the process as previously described. Once your post has been added into the stream, every user enrolled in the course can view, comment, rate, and state if it has been useful or not. You also have all of these options for blog posts written by other users. If you would like to read other posts written by a specific user, click his or her username. You’ll then be redirected to their blog area, where all of their published posts are found. If a blog post has been posted within a course, it will be tagged with the course name. You will see the tag next to the post title. 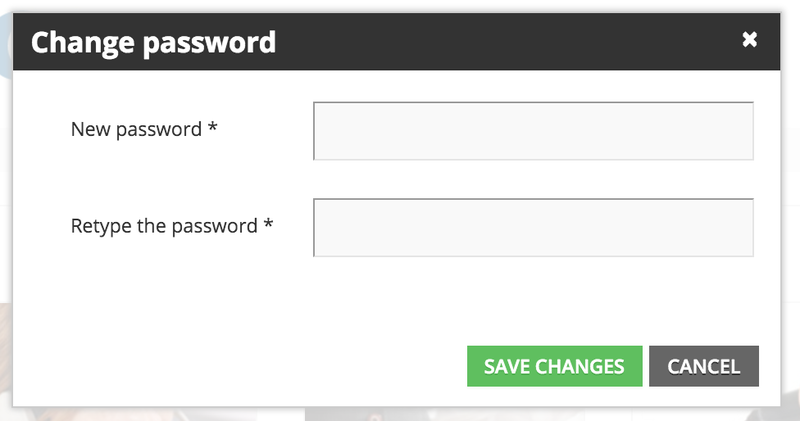 Inside the Menu area, you can change your password. Additionally (if enabled by the Admin), you’ll see a Show profile button, which allows you to edit your profile photo and information. When editing your profile or password, a pop-up window will open. Fill in the empty fields or edit the existing ones. Sometimes, it’s possible to set date and time options. If you want to upload a profile picture or replace your current one, select the Menu icon from the sidebar and click the picture box. Gamification is a feature of the learning system that turns training into healthy competition. To be considered the best user on the platform, you’ll need to earn as many badges as you can while completing different activities. These activities can be related to courses (e.g. completion of learning objects or courses) or related to social aspects (e.g. blog or forum posts and comments). Every time you complete the activities necessary to earn a badge, a pop-up message will appear on the screen congratulating you on the your newly earned badge. Select the Menu icon from the sidebar to see an overview of your gamification activities, such as your last two badges with a red number indicating how many times you received this badge, the total number of obtained badges, your point rank with your position in the gamification chart, and your total score. 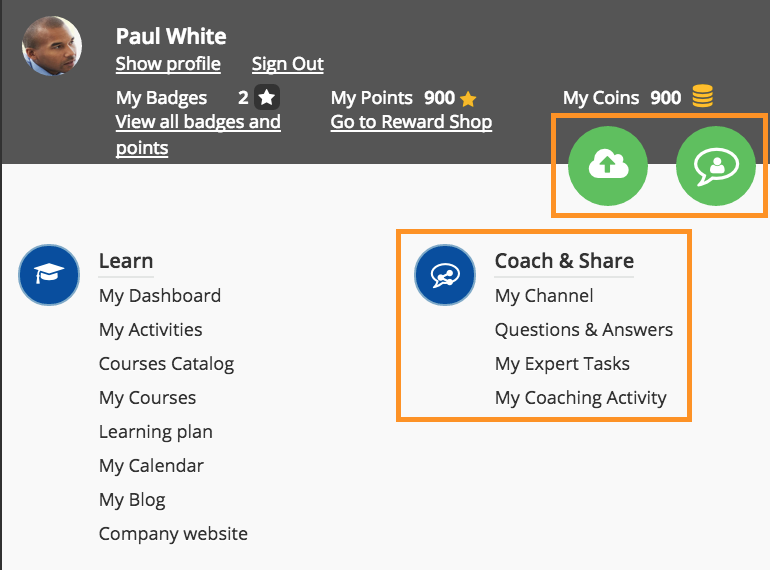 Select View all badges and points to access your Gamification area. You will also see the number of points that you’ve earned from the badges. If the Rewards Marketplaceis active in your platform, you can press the Go to Reward Shop item to exchange your coins for rewards, which are distributed outside of your LMS. 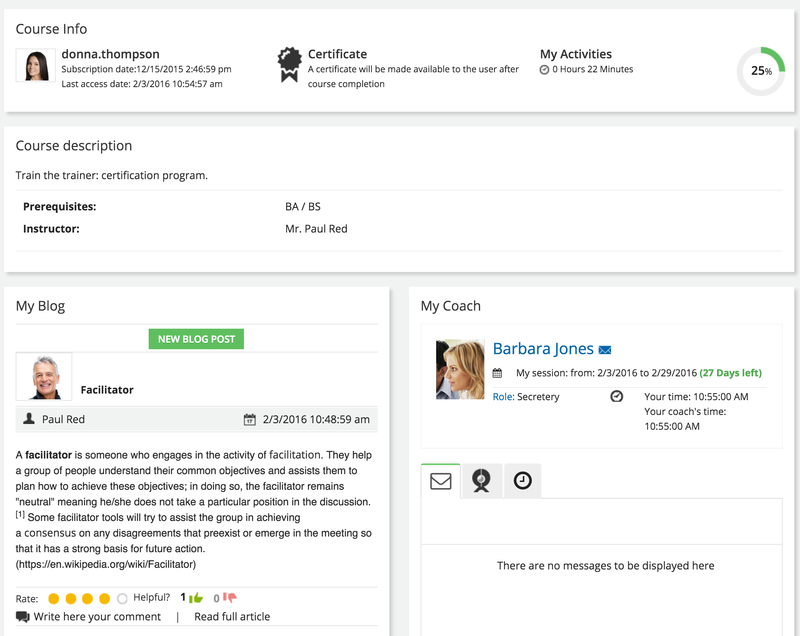 If Coach & Share is active on your LMS, your menu will have another section dedicated to Coach & Share activities. You will also see two circle buttons: Contribute and Ask an Expert. The Change Language icon from the sidebar lets you decide in which language you would like to display the platform. All of the courses in which you are enrolled are found in the My Courses area. Click the course icon to begin exploring. E-Learning courses are those that you attend online. The training material for these courses is published inside the course itself, and the platform will track your progress. 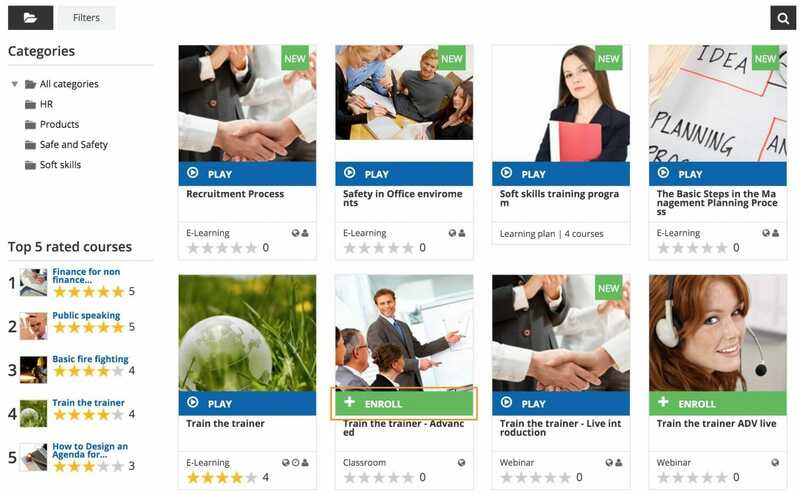 Let’s explore the course’s area, which is divided into Training Materials and Widgets. A padlock. Indicates that in order to start this learning object, you must complete the previous one. A grey check. Indicates that you have not started this learning object yet. A yellow play button. Indicates that you have started but not completed this learning object. A green check. Indicates that you have completed this learning object. You can also monitor your progress by selecting the Play icon from the left sidebar. 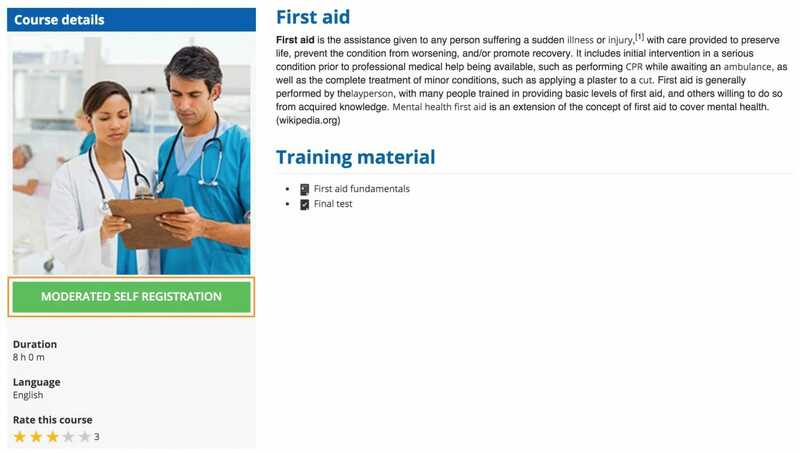 A course can be made up of different kinds of training material: texts, images, audio files, videos, games, presentations, surveys, tests, assignments, or HTML pages. 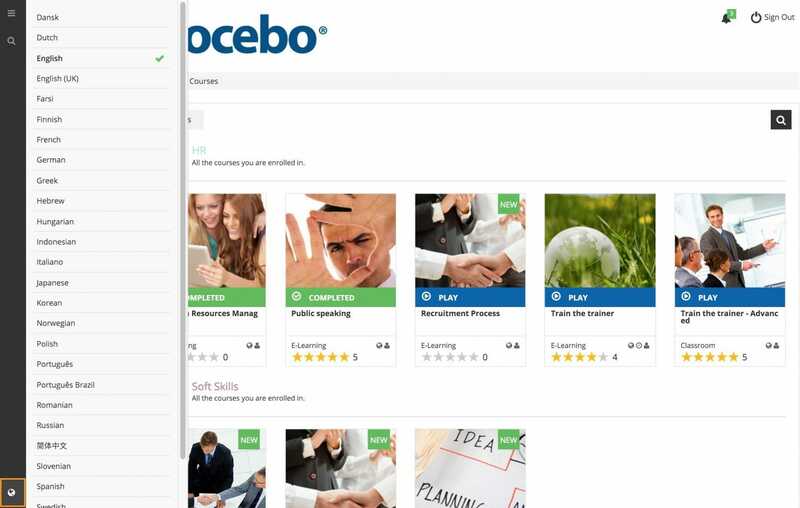 A course is considered finished when all of the training materials are completed. Once finished, the course is moved into the Completed Courses section. 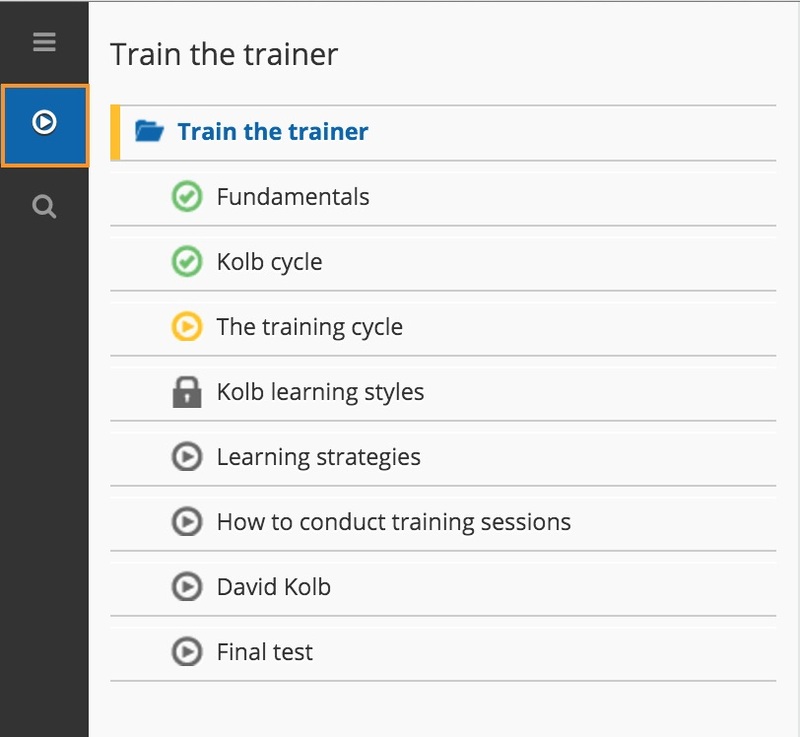 To view it, select theCompleted Courses filter inside the My Courses area. Sometimes, below the training materials, you will find widgets. These are useful tools that can be integrated into the course. Course Info. Read subscription info; Stay updated on your course activities (time and progress); Download course certificates. Forum. Discuss topics with other students and ask questions to the instructors. Course Description. Read the introduction for the courses in which you will attend. File Repository Area. Download files from the instructors, which often provide additional info about a specific topic. Comments. Participate in live discussions with other students. Instructors. Displays contact information for the instructors of the course. Blog. Express yourself through posts and comments. Web Conferencing. Join live web conferences organized by instructors. A certificate is a document confirming your participation in and completion of a course. It’s available for some (but not all) courses. You can check the Course Info widget to see if a certificate is provided or not. 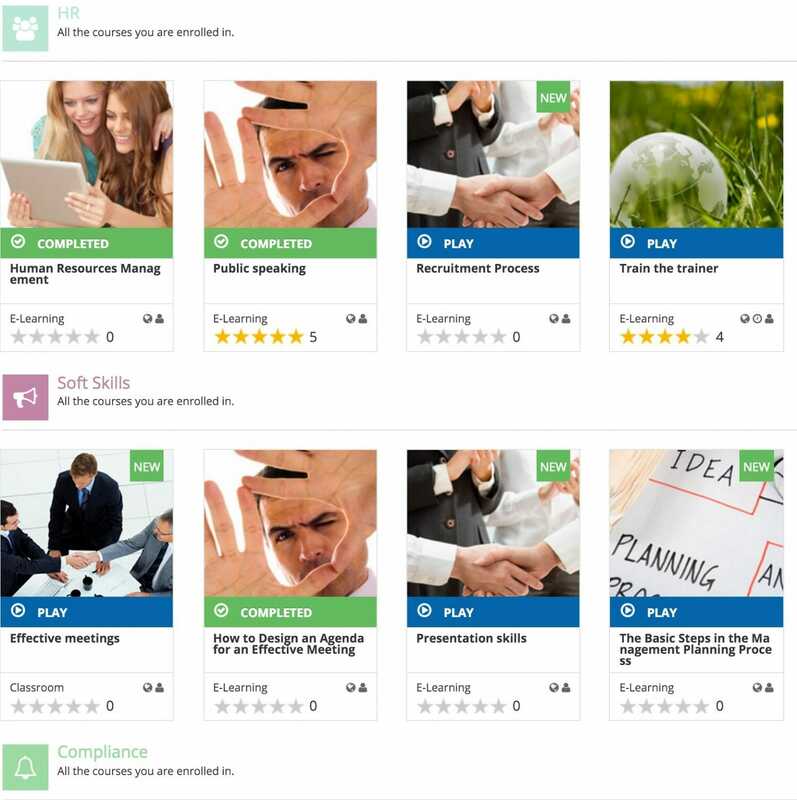 In your courses area, you’ll also find classroom courses. Access the course to see the information about the session in which you have been enrolled. Press the menu icon in the session’s row to view more info regarding the classroom. This includes location information such as an address, phone number, or email address. It could also include classroom information (number of seats, building, equipments) or additional information (direction, accommodation, etc). When the course ends, you will be evaluated by the instructor. This evaluation will be visible inside the course. 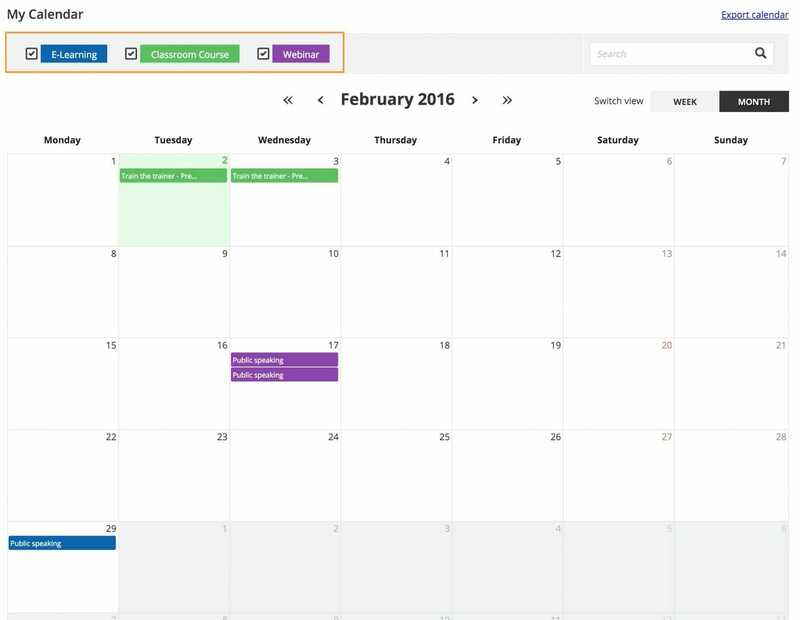 Like E-Learning courses, classroom courses can also include widgets, which are displayed below the session dates. Courses can be organized into Catalogs, Learning Plans, and/or Labels. 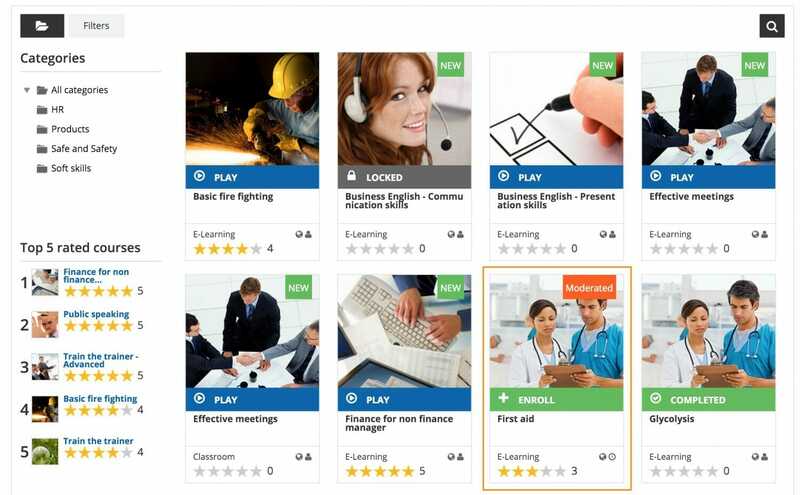 Labels are visible in the My Courses area, while Catalogs and Learning Plans are accessible through the Menu icon on the sidebar. Remember, you’ll only see these tools if they have been enabled by the Admin. Let’s take a look at each of these tools. In the Catalogs area you will find a list of courses to which you can enroll yourself. The enrollment can be free, moderated, or for a price. To access the Catalogs area, select the Menu icon from the sidebar and choose Courses Catalog. In this area you will see catalogs (can be one or multiple), and choose courses you would like to attend. You can press View More Courses to explore the catalog and select the course in which you are interested. Note that sometimes the enrollment must be approved by an admin. The enrollment policy of courses included into catalogs can be free or moderated. Select the course in which you are interested to check the enrollment policy. Choose the course from those available in the catalog, the click ENROLL in the course’s box. Read the detailed description, then press SUBSCRIBE. The course will be automatically added into your courses area. In courses with a moderated enrollment policy, you will have to wait for admin approval before you can access the training materials. Select the course from the catalog and click ENROLL. Read the detailed description and click MODERATED SELF REGISTRATION. The course is automatically added to your courses, but you will not be able to access it until an admin approves you. A course included into a catalog could also be available for a price. In this case, it will be marked by a green cart to indicate that it needs to be bought. Select the course in which you are interested from the catalog. View the price, then press BUY NOW. You will see the details of the course: price, duration, language, and description. When you’re ready, select BUY NOW one more time to proceed. You will be redirected to the payment page. 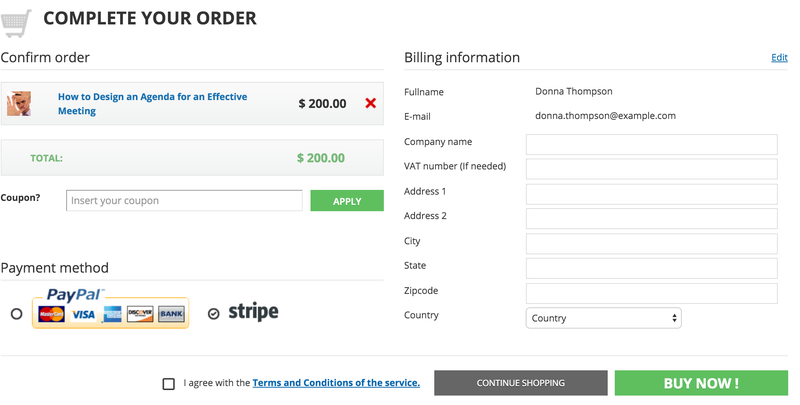 To confirm the order, the user has to fill in the form with their billing information, and then agree to the terms and conditions of the service. Once the payment is complete, you will see the course inside your courses area. A Learning Plan is an educational program specifically created for you. You will find it in the Menu area by choosing the Learning Plan option. In the Learning Plan area you will find the learning plans assigned to you. Check the status and the current activity of the learning plan, then see if there are any prerequisites. Courses will be marked with a padlock to indicate that you have to complete the current course before you can access the following one. 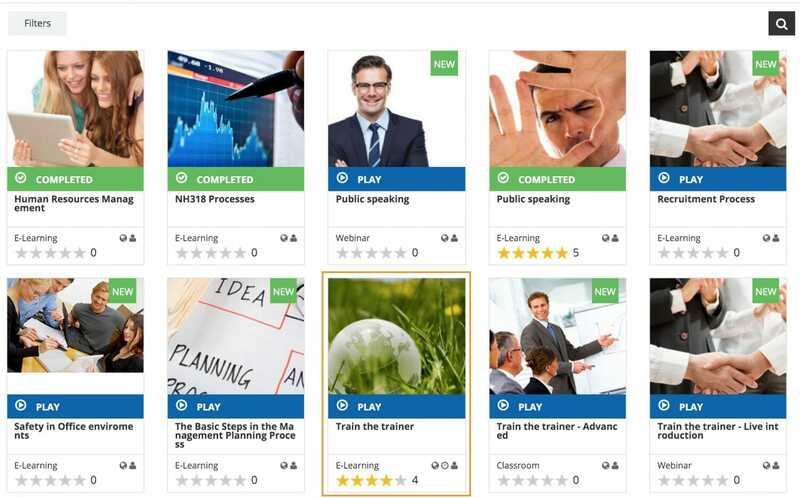 Courses are also marked by a status icon: grey if the course has not been started yet, yellow if the course has been started but not completed, and green if the course has been completed. Use the filters to view courses by status, and the search bar to find a specific course. 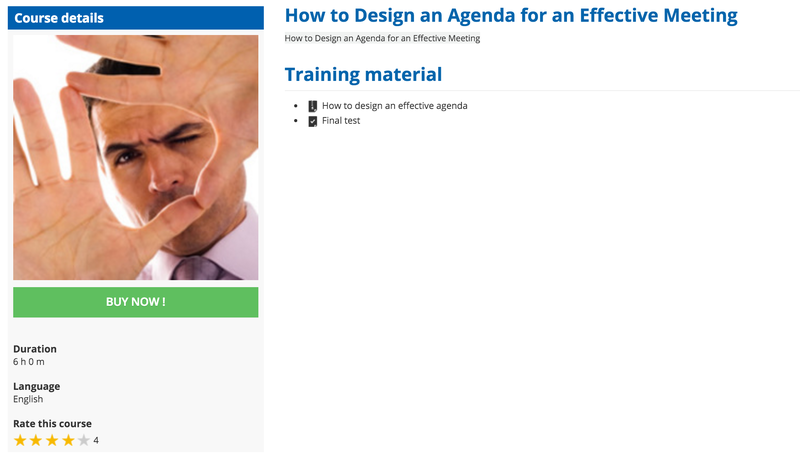 Select the course name to be redirected to the training materials. Sometimes you can also obtain a Certificate once you’ve completed a learning plan. Inside the course area, your courses could be organized into labels, which help you find them more easily. Labels can refer to a topic, a category, or a level of difficulty. The courses not associated to any label are grouped into the Other Courses label. Remember that the courses you find in the My Courses area are mandatory. You must complete them in order to meet the requirements set you the platform administrator.